I’ve tried a variety of apps that allow you to put multiple photos in one frame (or multiple frames in one photo depending how you see it). 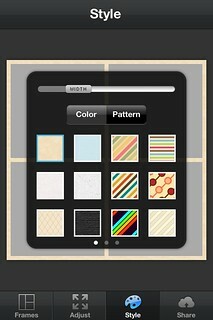 My favourite would have to be the PicFrame app by ActiveDevelopment. Apart from offering you a number of frame variations, they also provide 3 dozen border patterns and lets you share to other social platforms other than Instagram. 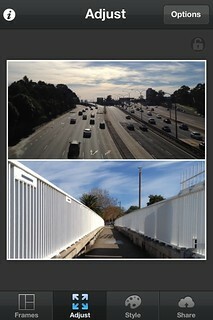 Here’s a quick review of PicFrame along with some screencaps I took on my iPhone. 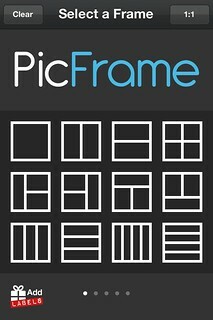 Below is a screencap of PicFrame’s wide selection of frame options. 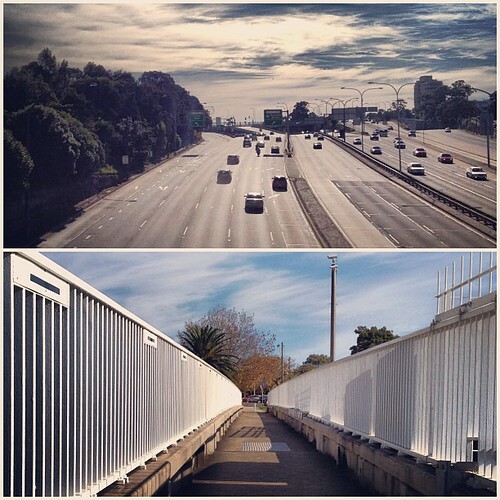 Here is an example of a splitscreen photo with two frames, one above the other. Although I tend to use only the white, thin border, it’s still nice to play around with the 3 dozen other frame border options available to you. 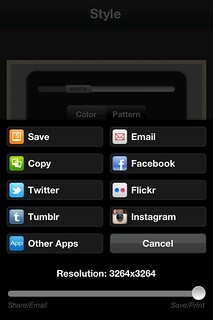 Lastly, you can share your multi-frame photos to Instagram, Flickr, Facebook, Twitter, Tumblr and other photo sharing apps you might have installed on your iphone. Make sure to select an appropriate resolution for your image since I’ve noticed a massive difference when you leave it on the default res. It takes a tad longer to save and upload but looks heaps better for it. I shared and filtered the photo on Instagram since I’m most obsessed with it at the moment. I’ve used the Sierra filter which adds a little bit of character and a touch of coolness to the image and you can also see how the white border gets filtered in Instagram. For this reason I tend to hide the filter’s border option (in this case, Sierra’s white Polaroid border) when I have multi-frame or splitscreen photos. Life is but a journey, originally uploaded by holimac. If you’re interested in other ideas for how to use multiframe photos, I found Instagram had actually added a page on their blog about tips on combining photos. Who knows, I might get to try them all out one day. Do you accept guest posts on a version for Andriod?